Remember you should pack light for a trip to Dhipirri. 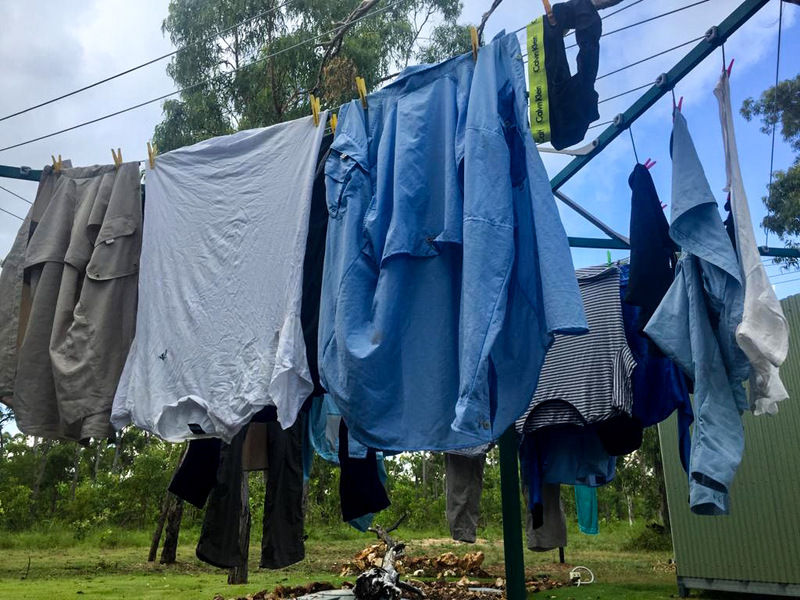 One of the great things about a trip to Dhipirri Lodge outside of the great fishing, comfortable accommodation and wonderful food is our complimentary laundry service – offered for every fishing day of your trip. 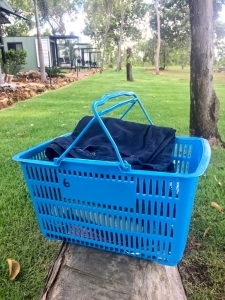 Simply put your clothes into the blue laundry basket at the end of each day on the water, put it out in front of your cabin before you head out and your clothes will be washed and dried by our fantastic lodge staff for use that same evening. You don’t need to re-wear your dirty clothes day after day when you come to Dhipirri – a highly underrated benefit when fishing in the tropics. So don’t over-pack your bag – anglers often end up leaving half their clothes untouched after a 4-5 day trip. 113cm of Metre Barra Magic! Be the first to know whenever there's more action from Dhipirri! Dhipirri Barra & Sportfishing Lodge is located in Arnhem Land, approx. 350km north-east of Darwin in the Northern Territory of Australia.